A garden pond can be either formal or naturalistic in design and come in a variety of sizes, shapes, and styles in both residential and commercial settings. 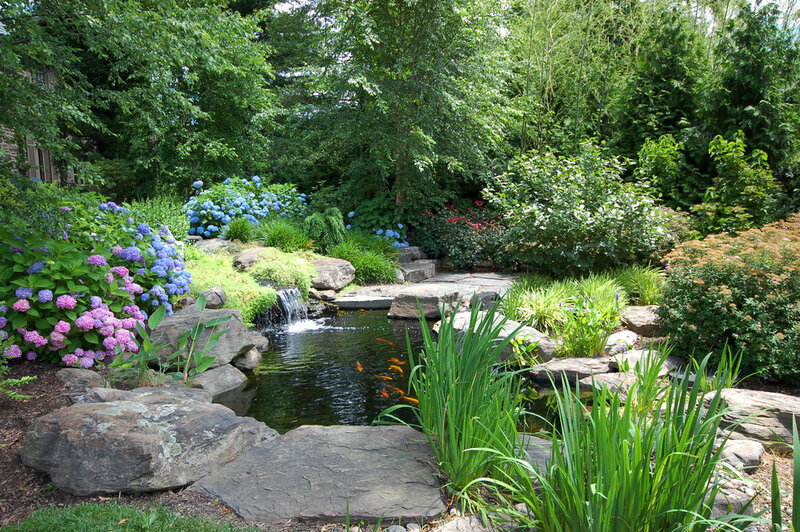 Garden Ponds are water features that usually contain plants and small fish. They can be lush living habitats for many native species. Koi ponds are water features designed to showcase and care for fish. They can be either formal or informal in design but require minimum dimensions, volumes, and filtration that must be accommodated for optimal performance. 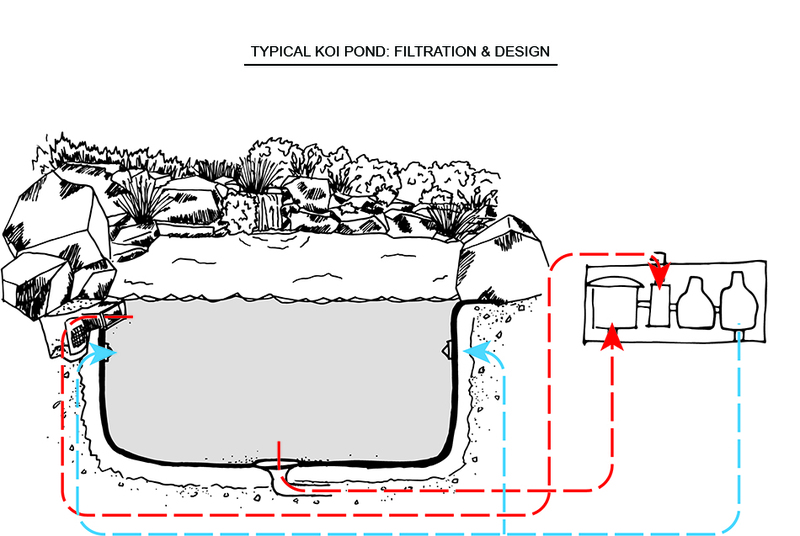 Through proper design, koi pond filtration systems collect and neutralize fish waste and control outside environmental effects on the pond. A well designed and installed koi pond and filtration system is essential in order to maintain a healthy environment for the fish, as well as providing an aesthetic water quality that koi enthusiasts expect. 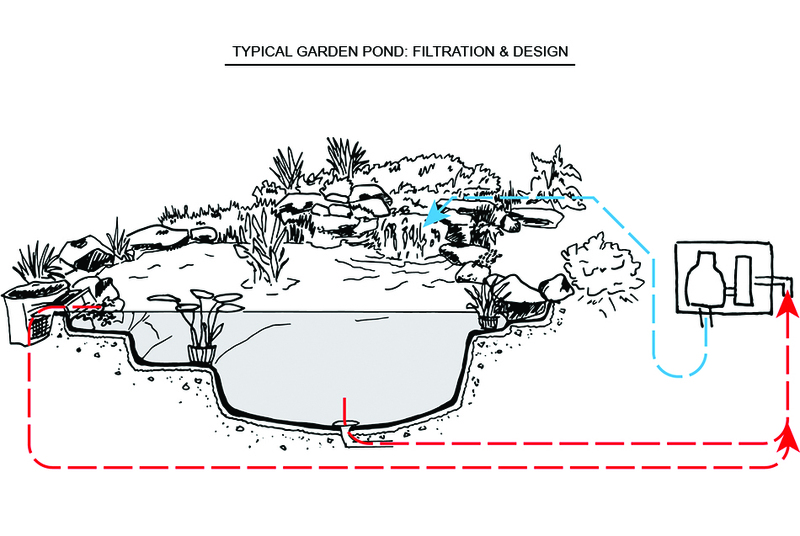 Garden pond filtration systems should use both biological and mechanical means and are generally smaller, less complex and less costly than that of a comparably sized koi pond. These water features accentuate and enhance the natural environment and are often the focal point of the property. We believe garden ponds should be a balanced and healthy aquatic ecosystem.